Readers who pay attention to science fiction in translation may have noticed a steady growth of the number of works written in Chinese and translated into other languages in recent years. An ongoing collaboration that started in 2015 between Clarkesworld Magazine and Storycom continues to make a significant contribution in presenting over thirty Chinese science fiction works to English readers. It is time for us to look back at the history of the translation of Chinese science fiction and see what lead us here as well as where we are heading in the future. Although foreign science fiction began to be translated into Chinese as early as 1900, with the first one being Jules Verne’s Around the World in Eighty Days (translated by Chen Shoupeng and Xue Shaohui from its English translation), Chinese science fiction wasn’t translated into other languages until decades later. Lao She’s Cat Country, translated by James E. Dew and published in Chinese in 1932, welcomed its first foreign translation in English in 1964, and saw continuous success with translation into both Japanese in 1980 and French in 1981. Wei Yahua’s “Conjugal Happiness in the Arms of Morpheus,” on the other hand, was the first short piece translated from Chinese into English and was published in Amazing Stories in September 1984. Two years later, two more English anthologies selected Chinese stories, Tales from the Planet Earth (ed. Frederik Pohl and Elizabeth Anne Hull, St. Martin’s Press) and The Penguin World Omnibus of Science Fiction (ed. Brian Wilson Aldiss and Sam J. Lundwall, Penguin) and included works from Ye Yonglie, Tong Enzheng, and Zheng Wenguang. Another anthology, Science Fiction from China (ed. Dingbo Wu and Patrick D. Murphy, Praeger, 1989), was filled with Chinese science fiction and introduced a few more authors like Jiang Yunsheng and Wang Xiaoda. Unfortunately, nothing significant and new from China came to the English world in 1990s. Notably, the first Chinese science fictions translated into Japanese were two stories written by Chi Shuchang (“The Elephant without Nose” and “The Whale Farm”) and were published in 1972. Other early Chinese works translated into Japanese in addition to the above mentioned, Cat Country, were Tong Enzheng’s “Death-Ray on Coral Island” in 1980, Ye Yonglie’s “The One Flying to the Pluto” in 1980, Zheng Wenguang’s “The Earth in the Mirror” in 1981, and Chi Shuchang’s “The Story of No-mind and Computer” in 1982. Translation into Japanese continued through the 1990s, with more works appearing in anthologies, magazines, or as stand-alone novels. Traveling further west, the anthology SF aus China (ed. Ye Yonglie and Charlotte Dunsing, Goldmann, 1984) translated the first batch of Chinese science fiction into German language. Shortly after, Ye Yonglie’s The Shadow of the Spies on the Island of Green Jade was translated into French and Italian and published in 1986 and 1989. The English world once again regained interest in Chinese science fiction in the new century. Translated works from Chinese can be found on various platforms and the largest input came from magazines. Wu Yan’s “Mouse Pad,” translated by Han Song, became the first short story from China published in English in 2000s. It was included in InterNova 1: Unexplored Territories (2005). An excerpt from Liu Cixin’s novel Ball Lightning, “From Ball Lightening,” translated by Joel Martinsen was published in Words Without Borders in 2009, with the complete work expected later this year. Zhao Haihong translated her own story, “Exuviation,” and had it published in Lady Churchill’s Rosebud Wristlet in 2010. In 2011, Ken Liu finished his first translation from Chinese to English with Chen Qiufan’s “The Fish of Lijiang,” which turned out to be the first Chinese science fiction published in Clarkesworld. Liu followed up with a second piece, just a year later, with Xia Jia’s “A Hundred Ghosts Parade Tonight.” Keeping busy, Liu went on to translate stories for Interzone, Apex, Lightspeed, and The Magazine of F&SF which published stories by Chen Qiufan, Tang Fei, Hao Jingfang, and Chen Qiufan. Worth noting, the magazines Peregrine (an English Companion to Chutzpah Magazine), Pathlight (an English magazine produced by Paper Republic and People’s Literature Magazine), and Renditions (an English Journal published by the Research Centre for Translation of The Chinese University of Hong Kong) also highlighted Chinese science fiction. Between 2011 and 2013, Peregrine published three pieces, Pathlight came in second with ten works and Renditions led the way with twelve Chinese stories. Anthology-wise, The Apex Book of World SF (ed. Lavie Tidhar, Apex), included two stories from China in its first volume in 2009, Han Song’s “The Wheel of Samsara” and Yang Ping’s “Wizard World.” The following volumes continued to include Chinese science fiction, Chen Qiufan’s “The Tomb” in volume 2 (2012), Xia Jia’s “A Hundred Ghosts Parade Tonight” and Ma Boyong’s “The City of Silence” in volume 3 (2014), and Tang Fei’s “Pepe” in volume 4 (2015). As for other languages, the Japanese magazine S-F Magazine published a few short stories by Chinese authors and dedicated a special issue on Chinese SF in 2008, including stories from Liu Cixin, Han Song, and Jiang Bo. Italian anthology Urania published two volumes dedicated to Chinese science fiction, with “L’onda misteriosa” (2006) and “Shi Kong 时空: China Futures” (2010), each including eight or nine stories. Featured together with stories published in other Italian anthologies, Italian became the language with the most pieces of translated Chinese science fiction during this period. Also worth noting, is that Chinese science fiction was also first translated into Polish and Swedish in 2012 and 2013. Arguably, the most influential Chinese science fiction up till now is Liu Cixin’s, The Three-Body Trilogy, the first volume winning the Hugo Award for Best Novel in 2014 and attracting celebrity fans such as Facebook’s Mark Zuckerberg and Former US President Barack Obama. The trilogy was first serialized in China’s largest science fiction magazine, Science Fiction World, and then published in book format in 2008, 2009, and 2010. The first foreign language version of the first book in the trilogy, The Three-Body Problem, was actually the Korean version (2013). The English version of the first book, translated by Ken Liu and published by Tor Books, came out in 2014, followed by The Dark Forest translated by Joel Martinsen in 2015 and Death’s End translated by Ken Liu in 2016. 2015 saw Turkish publication followed by German, French, Spanish, Portuguese, Hungarian, and Vietnamese in 2016. In 2017, the work was additionally made available in Thai, Polish, Greek, Czech and Italian. The trilogy has sold over seven million copies of its Chinese version and 760,000 copies of its English version, making it the No.1 Bestseller of Chinese science fiction worldwide. Other English translation novels to look for in 2018/2019 include, Liu Cixin’s Ball Lightning, Chen Qiufan’s The Waste Tide, Bao Shu’s The Redemption of Time, and Hao Jingfang’s Stray Skies. Additionally, the anthology, The Reincarnated Giant: An Anthology of Twenty-First-Century Chinese Science Fiction, is planned in September 2018 (ed. Mingwei Song and Theodore Huters, Columbia University Press). As for other anthologies and collections, Invisible Planets: Contemporary Chinese Science Fiction in Translation (ed. Ken Liu, Tor Books, 2016) is notable for Chinese science fiction lovers. Jeff VanderMeer and Ann VanderMeer’s The Big Book of Science Fiction (Vintage: 2016) included short stories by Liu Cixin and Han Song as representatives from China. Geng Song and Qingxiang Yang’s The Sound of Salt Forming: Short Stories by the Post-80s Generation in China (University of Hawai’i Press, 2016) selected Chen Qiufan’s, Fei Dao’s, and Hao Jingfang’s stories as representatives of science fiction genre. Chinese science fiction was also featured in other anthologies such as Carbide Tipped Pens (ed. Ben Bova and Eric Choi, Tor Books, 2014), Upgraded (ed. Neil Clarke, Wyrm Publishing, 2014), Watchlist: 32 Short Stories by Persons of Interest (ed. Bryan Hurt, Catapult, 2015), Where the Stars Rise: Asian Science Fiction & Fantasy (ed. Lucas K. Law and Derwin Mak, Laska, 2016), various Year’s Best anthologies, and others. Head of Zeus published Liu Cixin’s personal collection, The Wandering Earth, in 2016, including eleven stories that had been translated and sold on Amazon back in 2012. Quite a number of magazines, blogs, or websites served a taste of Chinese science fiction for their readers, including but not limited to Lightspeed, Apex, Galaxy’s Edge, Nature, The Magazine of F&SF, Uncanny, Daily Science Fiction, Paper Republic, SQ Mag, Tor.com, Terraform, and The Anthill. For the first time, Chinese science fiction short stories were published in magazines in Finnish (2015), Czech (2015), and Russian (2015). However, none of the above has been as dedicated to Chinese science fiction as Clarkesworld, publishing four pieces of Chinese science fiction in 2014, and over thirty in the four years that followed. This partnership has established an ongoing platform to introduce established authors such as Liu Cixin and Han Song as well as a younger generation of leading figures such as Xia Jia, Zhang Ran, and A Que, in a quest to show the diversity of contemporary Chinese science fiction. Storycom, a Chinese story commercialization agency focusing on the science fiction genre, knows well about the importance of international communication. Under the guidance of its nonprofit project, the Shimmer Program, Storycom supports the translation of Chinese science fiction into other languages. Touchable Unreality, the first English-Chinese bilingual anthology of contemporary Chinese science fiction was published in China in 2016. A new anthology is planned for this year, and this time, it will be published in both China and the United States. The Italian-Chinese bilingual anthologies Nebula and Sinosfera are also supported under the same scheme. 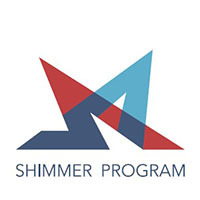 The Shimmer Program is also committed to sharing Chinese science fiction stories, fandom news and in-depth articles via its Facebook page and Twitter account. Efforts have been made to introduce Chinese science fiction to other languages like Romanian, Bulgarian, and Hungarian as well. It has been over fifty years since the first Chinese science fiction was translated into a foreign language and we are glad to see the many achievements that have been made with a hopeful eye towards the future. Thanks to Feng Zhang, Chen Qiufan, Yao Haijun, Wu Yan, and Touya Tachihara for sharing information helpful in the creation of this article. Born in 1990, Regina Kanyu Wang is a bilingual writer from Shanghai, member of Shanghai Writers' Association, Shanghai Popular Science Writers' Association, and World Chinese Science Fiction Association. She has been invited as a guest for Shanghai-Taipei Literary camp, Melon HK, Shanghai International Literary Week and Euro-Asia Economic Forum. She is a multi-winner of Xingyun Awards for Global Chinese SF. Her stories and articles can be found in Mengya, Science Fiction World, Southern People Weekly, ELLEMEN, UNITAS a literary monthly, Mithila Review, Galaxy's Edge, and more. She has published a science fiction story collection and a book on traditional Chinese cuisine. She is a co-founder of SF AppleCore and is now working as International PR Manager for Storycom.